ADVANTAGES VERY SMOOTH FACE AND FLAT PLYWOOD,WEAR-RESISTANT AND ANTI-CRACKING,NO MANUFACTURING DEFECTS NOÂ MINERAL STREAKS,NO KNOT HOLES. PALLET BOTTOM,CARTON OR PLYWOOD BOARD AROUND THEN STRENGTHENED BY 3Ã—6/4Ã—8 STEEL STRAPS,OR AS CUSTOMERS REQUESTS. PRICE TERM FOB, CNF/ CFR ,Â CIF., etc. We have professional inspection team with 25 years experience in plywood area.The process likes the pictures below. 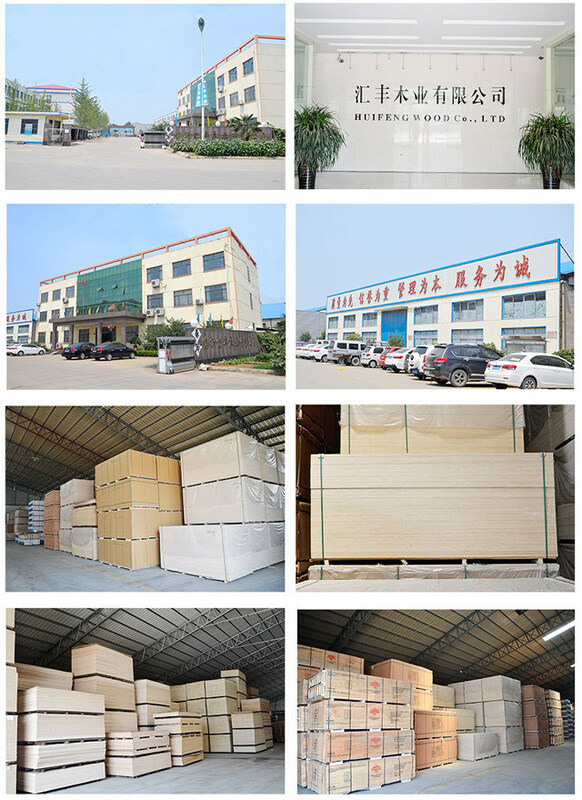 Linyi Huifeng Wood Industry Co., Ltd.HFMY has been producing Plywood from the day Company was established.We have more than 500 employees, covers an area of nearly 70, 000 square meters. Products using E0, E1 E 2 standard glue. It has well-equipped production equipment and advanced production technology, distribution of plants around the world to provide high quality products and services. Factories located in LINYI city, near Qingdao Port and Lianyungang Port. Black and brown face. Core can be Recycle core, poplar core, Combi core. 2-25mm Melamine MDF and Melamine Plywood. Wood grain color and solid color. Core can be MDF or Plywood. Companies to invest millions of dollars to introduce advanced production equipment,has formed an annual output of 50, 000 cubic meters of plywood,panel production capacity. 1.DO YOU HAVE PLYWOOD FACTORY? 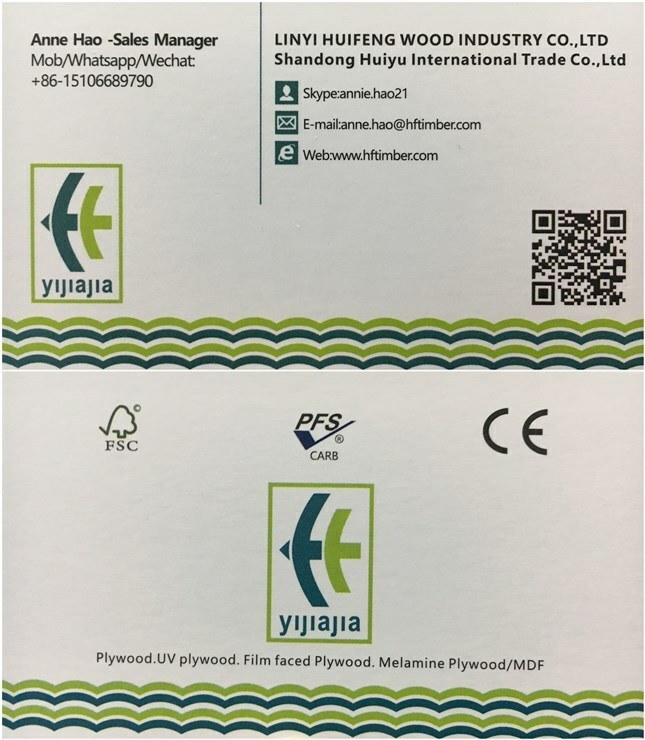 Yes,Linyi Huifeng Wood Industry Co., Ltd. We have more than 500 employees, covers an area of nearly 70, 000 square meters. 2.COULD WE GET FREE SAMPLES? This charge'll be deducted from total value once you order from us. 3.CAN I MAKE MY OWN DESIGNÂ OR LOGO? VERY GLAD TO GET YOUR FEEDBACK, WE WILL REPLY IN 24 HOURS.